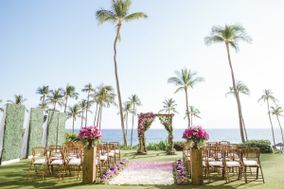 Oahu is Hawaii’s third-largest island, and these Honolulu wedding venues are some of the most gorgeous spots in all of the Aloha State. 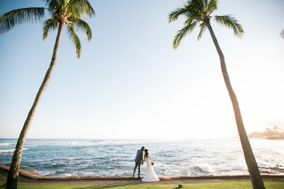 Nature preserves, five-star resorts, lush tropical gardens, and oceanfront locations are just some of the most popular Honolulu wedding venues that are sure to stun you with their incredible Hawaiian scenery. 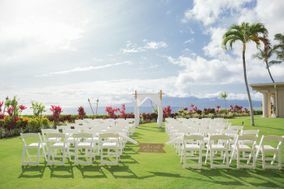 Honolulu's exotic scenery, rich history and warm climate make exchanging vows the perfect backdrop for engaged couples. 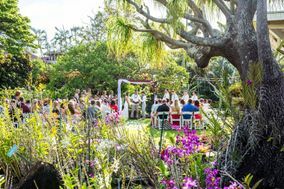 Hawaii's largest city also offers the most extensive and comprehensive collection of wedding merchants and vendors throughout the Hawaiian Islands. 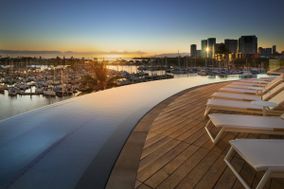 Located on the southern end of the island of Oahu, Honolulu offers large resorts, hotels, smaller B&B style amenities and plenty of sprawling golf courses. 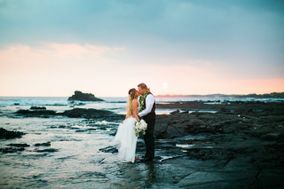 Hawaii's beach-friendly environment and surf-crazy culture is ideal for couples who are looking for tropical flair for their nuptials. 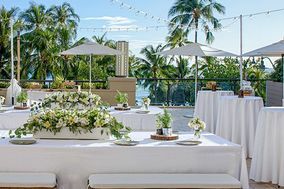 Seaside reception venues are Honolulu's most popular wedding celebration spots, and the city has enough variety to satisfy any couple's requirements. 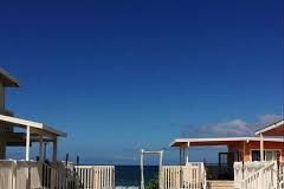 Oceanfront ranch accommodations are extremely popular, as are beach cottages and other resorts. 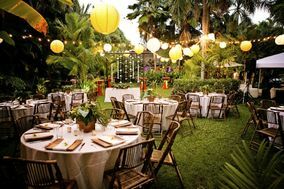 As the cultural and commercial center of Hawaii, Honolulu's local attractions and points of interest will provide any wedding party with plenty of things to do! 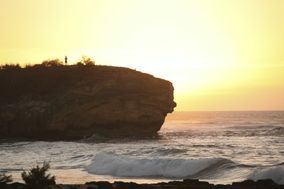 For anyone who loves the beach, Honolulu's miles of coastline offer world-class sun, sand and surf. 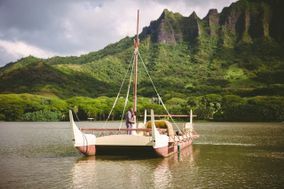 Plus, you, your fiancé(e) and guests can also enjoy fabulous sights at Honolulu's Diamond Head State Monument, Sand Island, Hanauma Bay State Park and - a favorite for history buffs - the Pearl Harbor naval base. 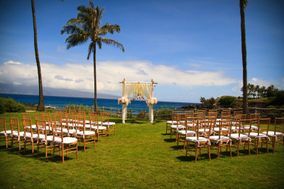 Honolulu wedding prices are on the more expensive end of the national average. 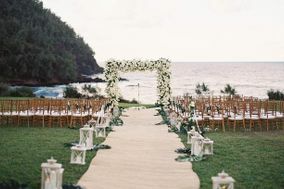 While the median U.S. wedding price is right around $30,000, the typical Honolulu wedding is nearly $44,000. 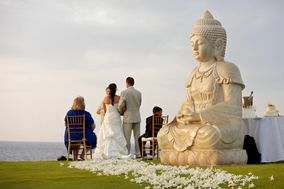 Keep in mind that wedding costs don't include air travel to Hawaii. 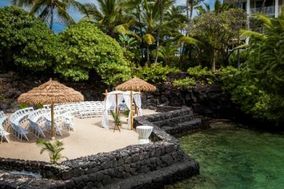 However, any couple that truly wants a memorable, once-in-a-lifetime celebration in the tropical Hawaii climate can make it happen - just make sure to have a solid budget, and stick to your plan. Honolulu International Airport (HNL) is the state's largest, busiest travel hub. HNL is located in the western portion of Honolulu, directly across Keehi Lagoon from the downtown region. From downtown Honolulu, the airport is a 10-15 minute drive. Honolulu International Airport is the recommended port of entry for all of your wedding guests, unless they're arriving on different islands than Oahu. 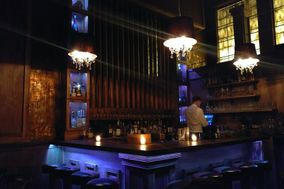 Upon arrival, your wedding guests have abundant lodging choices. Wedding attendants should expect to pay around $250 per night for a Honolulu hotel. 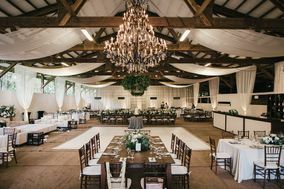 It's always a good idea to keep your Honolulu wedding venue and guests' hotels within reasonable driving distance; with this in mind, Wedding Wire'shotel block service can assist in locating fine accommodations at affordable prices. 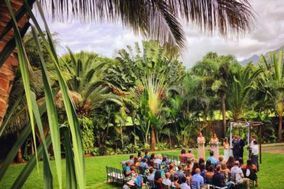 Honolulu's world-famous weather is perfect for outdoor weddings, although it's always a good idea to have an indoor wedding venue in those rare instances when Hawaii's climate turns inclement. Summers in Honolulu are mostly dry. 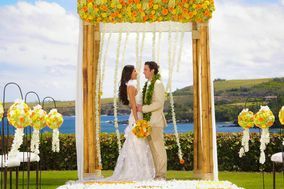 If you're planning an autumn or winter wedding in Hawaii, keep your umbrellas (and an Honolulu indoor wedding venue) closeby; Honolulu's rainy season runs from October through March. 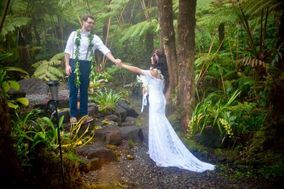 While weather usually plays an important role in wedding planning, the Hawaiian climate is one factor that Honolulu weddings usually don't have to worry about. Other than the occasional strong gust of wind and brief rain showers, it's pretty much sunny 24/7. 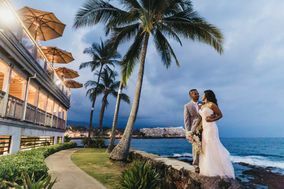 Bright attire colors will complement Honolulu's naturally bright surroundings, and that means unforgettable, vibrant wedding photos that you can look back on for years to come. 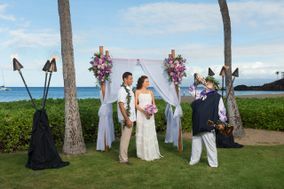 WeddingWire's planning tools, merchant & vendor connections, comprehensive reviews and other resources are just what you need to plan the perfect Hawaiian wedding.